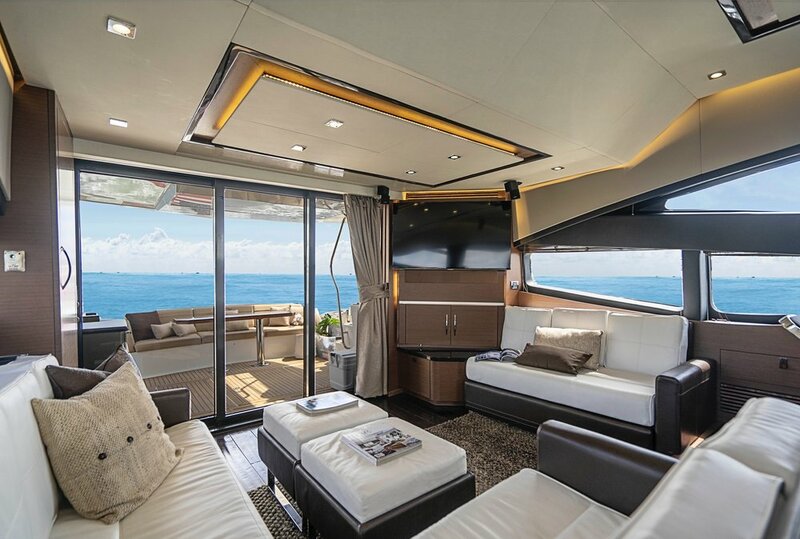 Perfect for day charters in Miami, this yacht leaves nothing to want for your ultimate charter experience in the waters of South Beach and beyond! 4-5 hour cruises depart anytime between 9am-11am or from 3pm and onward. 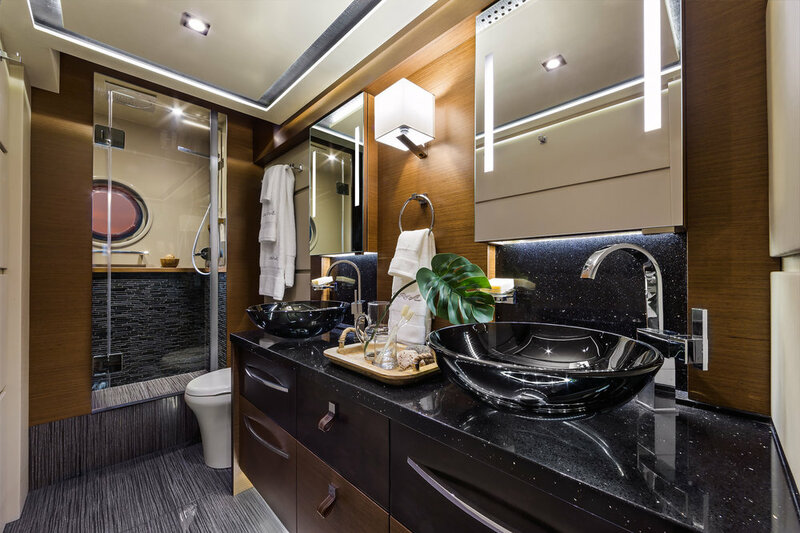 Immaculate, precisely modern and luxuriously equipped, this yacht redefines everything you think you know about yachting. This 2017, 3.3 million dollar boat will have you feeling like theres no other way to live once you step aboard. 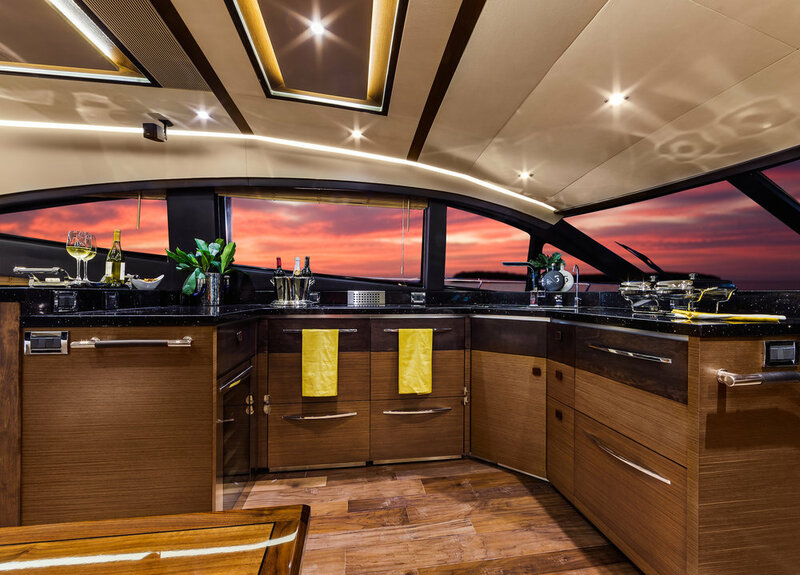 With 70 ft of length overall, this yacht maximizes its size with an amazing layout. The L650 Fly was intended to be the "best of the best" of what Sea Ray is capable of. 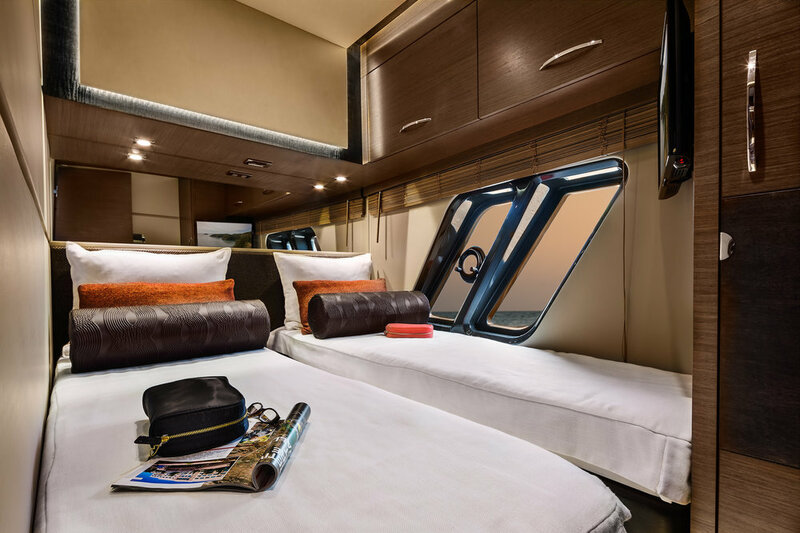 She has premium upholstery, woodwork, and hardware that is absolutely state-of-the-art. 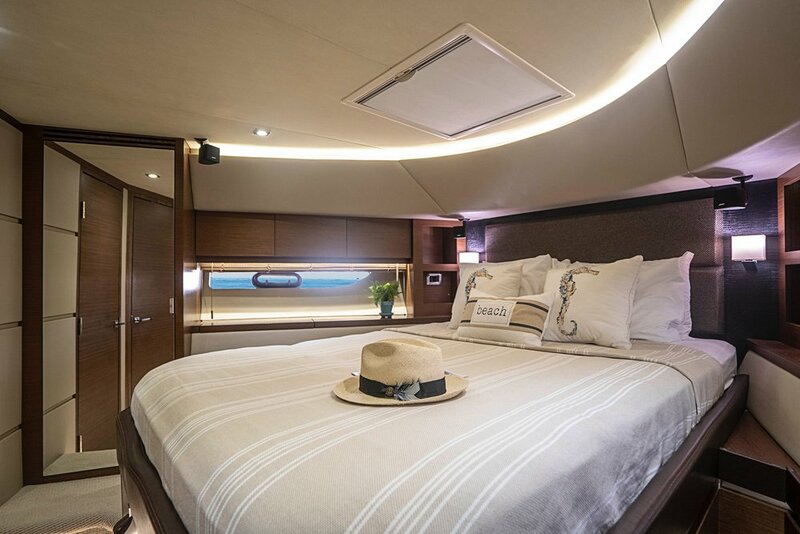 Perfect for day charters in Miami or even overnight excursions to the Bahamas or Florida Keys, this yacht is simply perfect and leaves nothing to want for your ultimate charter experience in the waters of South Beach and beyond! Pricing and availability is based on first come first served basis. Holiday pricing may vary from listed base charter price shown. Listed base charter price does not include sales tax. All yachts are available for general booking until a deposit is placed upon a yacht for a specific date and departure. Pricing is based off of local Miami inland cruising, long distance charters beyond Miami may be subject to additional fuel costs.